It is a well known saying that the screen protector is the foremost line of defense when it comes to the safety of your device. In case you want to purchase an effective protective layer for your iOS device, there is the choice between choosing a liquid screen protector or a tempered glass defender. While there is no doubt that both can be quite useful and have their own perks and drawbacks they each are most suited to certain situations and certain devices. Their specialties are what set them apart and when all is said and done are the most important facet to look at when making a decision. 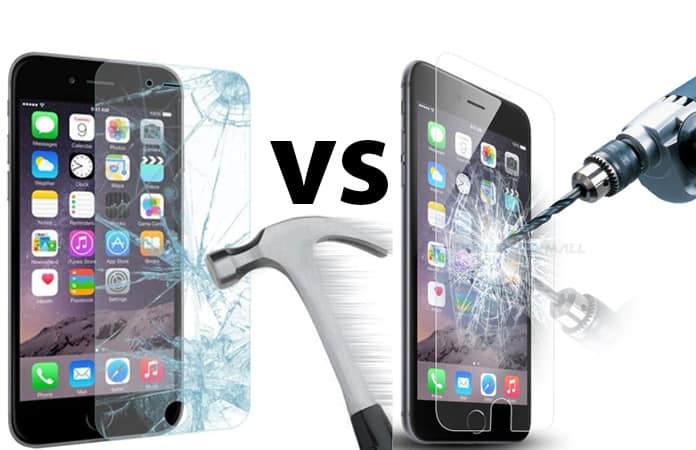 Today we will show you a review about liquid screen protector vs tempered glass. Firstly, the liquid screen protector is extremely smooth and it can easily be installed on your device. It gives the screen a really silky feel and keeps it safe from scratches. It is also very transparent thanks to its slimmed down structure and so it provides a really immersive viewing experience from every type of angle. This type of protection is also very sensitive to touch and recognizes each small touch or tap very effectively. The lightweight protector means that it simply merges into the screen and doesn’t make the handset feel bulkier or cumbersome. Bubble free means that there are no air bubbles and the liquid screen protector offers that. In addition cleaning it is very simple and can be done by using a soft cloth. 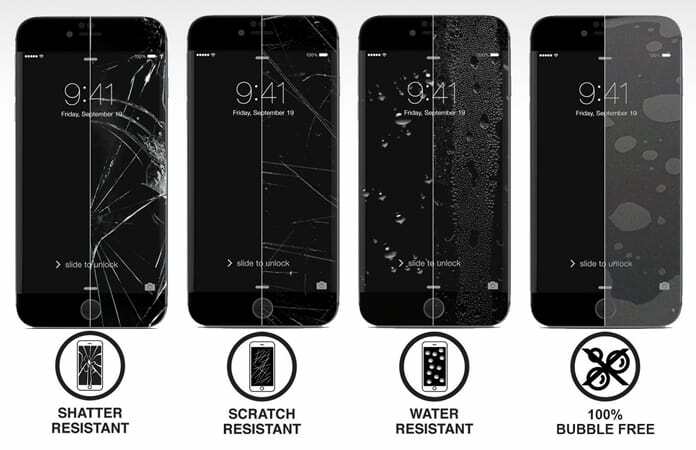 Sadly, it isn’t as impact resistant as its counterpart and the amount of protection it offers, while substantial, isn’t anywhere near tempered glass. If you feel that you can be careful with your phone, only then is this a good option. Also, its scratch resistance capabilities also have certain limits; if you exceed them scratches will appear. Lastly, sun and oil will cause it to discolor which can make its appearance look really shabby after a bit and it is also more prone to fingerprints. Greater protection is what this protector offers and thanks to its added strength and durability (9H hardness) it will keep your phone safe from even knife scratches. Thanks to this you know your device is safer thanks to the fact that it puts the exterior into compression and the interior into tension. What this does is that when the glass is broken it breaks into small granular chunks that do not damage the main screen of the device. Lastly, we also see that its heightened transparency provides a crystal clear display that offers the best viewing experience. It is quite susceptible to breakage and that damage that can be caused to it may mean that you have to get it replaced quite frequently. The security risk that this broken glass can pose means that shards can get under the skin or potentially cause other harm if not treated with care. All in all it is obvious that the toughened glass screen is superior to the liquid screen defender because it does its main job much better. 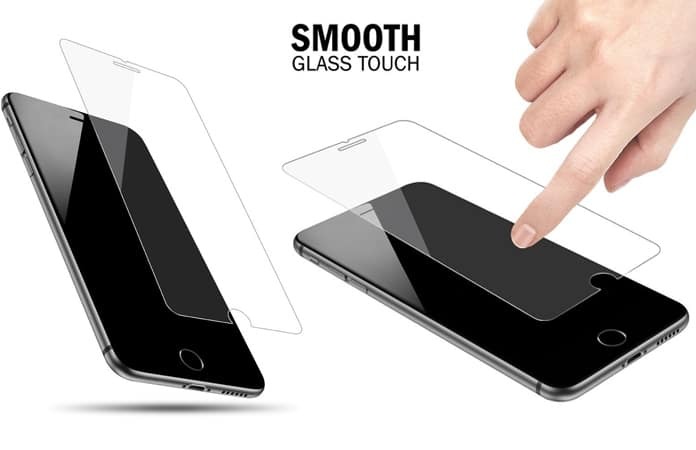 While the tempered glass may look prettier and offer a better look it requires more maintenance and since both are protectors, it’s better to choose the one that does its job of protecting better – the tempered glass screen. What do you think about our review liquid screen protector vs tempered glass? Share your thoughts in the comments section below!